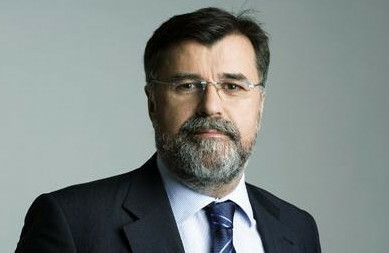 Veran Matić has been editor-in-chief and chairman of the board of the web portal and broadcaster B92 from Belgrade since its inception in 1989. He established and led the Association of Independent Electronic Media (ANEM). Mr. Matić is president of the B92 Fund, engaged in social and humanitarian activities, and is director of the publishing house Samizdat B92. He is founder and president of the Commission for Investigating Killings of Journalists in Serbia. As an uncompromising fighter for media freedom, he has received numerous prestigious local and international awards over the last 25 years for his work, including the Annual Award of the New York-based Committee to Protect Journalists (CPJ) in 1993, the Olof Palme Memorial Fund's prize for professional journalism and promotion of international understanding, the Ilaria Alpi Award, and the MTV Free Your Mind Award. The International Press Institute (IPI) selected him as one of the fifty World Press Freedom Heroes for the period after the Second World War. Mr. Matić has been honoured with the highest French decoration, Knight of the Legion of Honour medal, along with Sretenje Medal of honour of the third class, one of the highest national recognitions. You live under police protection. Please explain why, how that came about and how you were threatened. I have been under 24/7 police protection for five years now, after the security services in Serbia determined that my safety and life were endangered in my capacity of B92 news editor-in-chief. A year prior to this, my colleague Brankica Stanković, a writer and editor of Insider, a show that deals with investigative journalism, was placed under police protection. I am responsible for Insider, it falls under my jurisdiction. The decision to place both of us under police protection was linked with the program because it explored a large number of taboo issues like uncovering corruption affairs, members of organized crime, hooligan’s gangs, and the plunder of state property. Threats were delivered in various ways, mostly via internet, but the assessment of security was much more related to the information collected by security agencies by using diverse methods. I believe that the greatest danger came from our refusal to withdraw after the first drastic sign of colleague Stanković’s endangerment. Can a person work normally under police protection? Does it influence the work of a journalist? It is the logical consequence of the situation I have described. When we understood that Brankica Stanković’s life was in jeopardy, we had to evaluate what the best response would be. We certainly wondered whether it would be possible to work under police protection, and we found the solution to this problem by deciding that a ‘protected person’ would continue to perform only her editorial tasks, while Insider’s crew would become larger, in order to strengthen the engagement that got us in this position in the first place. The resistance that we showed by making new sequels and series of Insider, the professionalism we demonstrated under very tough conditions, certainly led to me being placed under police protection. The B92 building had been under police protection for a longer period of time because there was an attempt to set it on fire, and it was threatened in other ways. We have been working in irregular conditions for years. During the war in the nineties, during Milošević’s dictatorship, we were banned four times, and all these years our lives were threatened. We have always designed a strategy of reacting to threats and repression, and the most efficient one was strengthening the scope of our activities by creating a stronger impact, a bigger auditorium. This means that an efficient response can always be found, but it is important to create a strong determination within the media and to offer a great support to the threatened journalists. The reaction of journalistic and international associations is also important. You are the chairman of the Commission for investigating the killings of journalists in Serbia. How did the idea of creating this body come about? What is its purpose and what are the results so far? It is very important to react to threats in a way that you become stronger and more efficient. It is also very significant to investigate threats thoroughly, and to try to discover the perpetrators and those who ordered the killings of our colleagues. I was aware of this need to solve the cases of the killings of journalists in Serbia, and since nothing had been done about it for years, I proposed to the Prime Minister to establish a Commission around two years ago. It would gather all documents connected to the investigations conducted so far, and be composed of representatives of the journalistic profession and security agencies. New investigation teams are being formed, made up of police and security information agency members, and new investigations have been conducted, led by the relevant prosecution offices. This contributed to resolving the most famous killing of our colleague Slavko Ćuruvija in 1999. Now this case is nearing court epilogue. A lot of new data has been collected in the murder case of our colleague Milan Pantić, and I expect that the investigation will continue more intensely after a lawyer strike that lasted for several months is over. The strike slowed down a range of activities that required the presence of lawyers. In the case of Radislava Dada Vujasinović, a lot of expertise has been contributed by the National Forensic Institute from the Hague, as the previous analyses of the Serbian experts proved to be contradictory. I believe that this is the most concrete form of fighting impunity. It can become the model as to how such situations can be resolved. A similar commission was established in Montenegro, using the Serbian commission as a role model. What is your advice to colleagues who experience threats? What should they do about it, in your opinion? I think that not a single threat should be underestimated, and that prosecutor‘s offices and the police, journalistic associations and lawyers should be informed about it in a regular way. It is absolutely necessary to report threats to both the local and foreign public, and to ask for support in these matters. It is necessary that the media management and owners strongly support their threatened journalists and editors, and demonstrate that support openly and constantly. It is also necessary to check the current status of investigations and court proceedings with the investigating authorities regularly. These measures should never be neglected with the excuse that they waste time, or something similar. Only by paying attention to and resolving even the smallest threats, will it be possible to raise the standards of the attitude of the relevant institutions towards the security of journalists’ work. This will make it possible to successfully prevent future threats. Only fully resolved cases, and the cases with an epilogue in the court, can send a message that impunity is not an option, and that perpetrators will face justice for what they have done. The Commission cooperates with the state, and in a way it does both the job of the police and of the judiciary. Isn’t it the obligation of these institutions to resolve murders? Surely, everyone should do their work and that is the obligation of the competent institutions. But if 15 or 20 years go by since a killing took place, and it is still unsolved, this means that the case is considered closed. That is why I decided to engage myself personally, in order to draw the line, to resolve unsolved cases. I wanted to introduce a clearer criteria in determining these crimes and their prevention, and to solve those cases more quickly. Unsolved cases are a burden to all of us, because they increase distrust between the journalists and the institutions responsible for solving murders. That is why it is important that we, as journalists, show how much we care. We can show it not just by making declarations to mark the anniversary of someone’s death, or by giving a couple of convenient or harsh statements, but by making it obvious that we are eager to reach court proceedings in all of the murder cases, and that we are ready to jeopardize even our own safety to accomplish this goal. In the case of Slavko Ćuruvija’s killing, the Chief of Slobodan Milošević’s Secret Service and two high officials of this service are being indicted, as well as another fugitive suspect for whom Interpol has issued a warrant. Those facts, along with the ongoing investigations of other cases, certainly endanger all of us that are involved. However, that is the price we have to pay, and everyone should be willing to pay it in order to raise the level of safety when it comes to the work of journalists and the media. In cases of attacks on journalists or threats, how significant is the support of international organizations, such as SEEMO? If you have united news desks, if local associations and non-governmental organizations are joined in a network and are thus efficient when it comes to violations of human rights and freedom of speech, then international organizations can be of significant assistance. They can inform the international public and advocate for more efficient pressure to prevent threats and make journalists and the media safe. Of course, international organizations can join efforts with others in more direct interventions in order to decrease a current danger through safe houses for journalists, and also by supporting solidarity through a stronger professional network. It is especially important, in situations where state institutions do not want to offer security support, that international organizations fill the gap through solidarity, by financially helping journalists or media staff who are in jeopardy. I think that it is very important to create models that journalists can rely on in urgent situations. I am sure that this would help them do their job more professionally, along with protecting their safety and save their lives as a result. It is of crucial importance not to relinquish things to the extremists by being inactive, but through such actions, we should show that it will not be easy to endanger journalists without facing resistance, and that the violations of journalists' safety will not pass without adequate punishment.